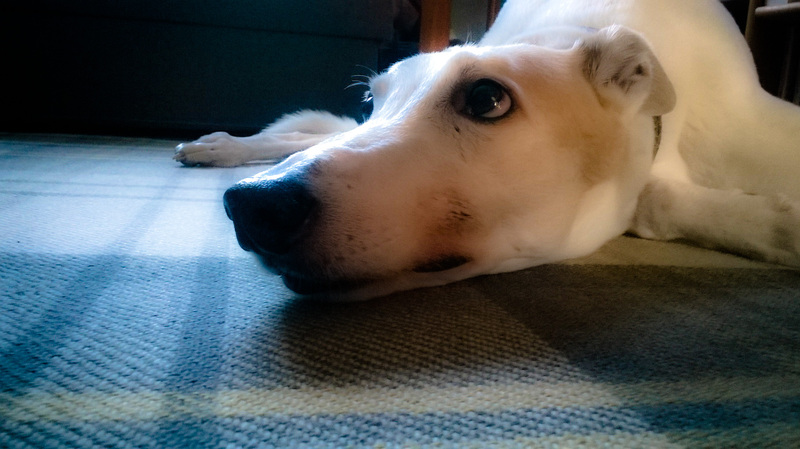 A VERY important birthday!… greyhound posting. The zombie has been on here twice today! She’s a bit like one of the things you humans call buses. You know you wait an age for one to arrive and then three arrive at once! She’s been quiet on here and elsewhere, for a while now. She’s been experimenting with her medication. Firstly, it went all pear-shaped; very much like her, actually. Then, just in the last few days, she has turned a corner. Or so you human’s expression goes… right? She is actually getting up on a morning and looking a bit more human. And yesterday she wandered around for a while, with a feather duster in her hand: looking kind of useful. So watch out; she could be on here and on your blogs quite soon. Or she’ll die again and disappear. Just watch your backs! Anyway, that’s enough about the zombie… I have something to share with you all. Today, we have not only had a fabulous solar eclipse this morning; it is the Spring Equinox, the moon is new and it is going to be a super moon tonight. And that is not just my opinion darlings, it’s official. Today, it is MY BIRTHDAY! I am twelve. Here I am doing a damn good impersonation of a seal, I think! I have been given a card and present [squeaky toy] and have been for a lovely walk. Now I’m just chilling. What can I tell you about being a twelve-year-old greyhound? Well, it beats being a human zombie of 55, going on 180! This morning was frantic as the zombie suddenly realised that it may actually get a shot of the eclipse and scrambled for its camera. Dad had the tripod thrust at him and was asked to assemble it super quick, which he did, of course. I just watched the highly entertaining performance, rather snoozily, from my bed. The zombie got the shots and the drama was over and done with. Peace prevailed… well kind of. I feel a bit sleepy now and I need to go and wash my bottom and things, right in the middle of the lounge rug! It’s my rug… okay? And it’s my birthday. Thanks for dropping by and have a lovely, snoozy afternoon. I know I will darlings. The zombie will be back. Prev There and back: the solar eclipse in Scarborough. I’m feeling a bit more human… even if Misty thinks I’m a zombie. I sometimes get so I don’t know what to do with myself… do you know that feeling? I bet you do. Life goes on around us and we are just stuck… for a while. I have missed blogging and reading blogs. There’s no need to feel wuff about it Toby. I haven’t had a moment to paws just recently!